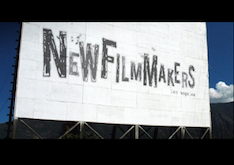 This week’s edition of New Filmmakers LA is stuff-packed with moviemaking wisdom. In fact, it’s so packed we had to split it into two parts! In Part 1 we are featuring interviews with directors Deena Adar and Kai Collins, Carlos Carrasco, Dennis Brucks, Milica Zec, and Tony Glazer. Take a look! In part 1 we present to you interviews with directors Deena Adar and Kai Collins (“30ish”), Carlos Carrasco (“Art Galleries and Back Alleys”), Dennis Brucks (“Bolero”), Director Milica Zec (“Christina”), and Tony Glazer (“Junction”). Directors Deena Adar and Kai Collins on their short film “30ish”. Director Carlos Carrasco on his short film “Art Galleries and Back Alleys”. Director Dennis Brucks on his short film “Bolero”. Director Milica Zec on her short film “Christina”. Director Tony Glazer on his short film “Junction”. Click here for part 2 of this article and more interviews!